On a recent interview with ITV's This Morning Barbara Windsor described EastEnders as being in "a bit of a state." That's perhaps a kind way of saying it's gone past its best. Once the BBC's flagship soap, it now rates as the country's third, consistantly loosing out to Coronation Street and Emmerdale. I have been a fan for as long as I can remember, but even I know I'm only really watching now out of habit and the strange sense of loyalty you feel as a soap fan. I can't put my finger on the route cause of its demise, but it is stuck in a big rut. None of the new characters introduced over the last twelve months have had the impact on viewers that producers were banking on and storylines seem to be going round in circles. All in all I think the audience feels that EastEnders has gone stale. The introduction of Kirstie Branning, her hugely irritating ex Carl and Cora's long-lost daughter have done nothing to brighten up or invigorate the Square. All of the new characters seem like poor caricature's of EastEnders regulars. People like urbanite Dexter and his kidney-less father Sam are just awful additions to a square desperately in need of new and exciting blood. Even the old reliable faces like Alfie, Janine and Kat aren't safe from the curse of Albert Square at the moment. Their storylines go seem round and round in infuriating circles. The recent news that old story editor Dominic Treadwell-Collins is returning as boss does could be the light at the end of the Walford tunnel loyal fans had been hoping for. Treadwell-Collins is the man responsible for some of the biggest and most memorable stories in the show's recent history. He orchestrated the controversial (but satisfying) baby swap as well as all the Max and Stacey affair and aftermath. If there was anyone who might just be able to pull EastEnders out of its mammoth slump it's him. It would seem he has already started the process of clearing some 'dead wood' from the ballooning cast. Those in the firing line include Kirsty (Kierston Wareing), Carl (Daniel Coonan), AJ (Phaldut Sharma) and Poppy (Rachel Bright) will film their exit scenes before Christmas and will be seen leaving Walford in the New Year. It was also recently announced that Alice Branning (Jasmyn Banks) will depart as part of another exit story for Michael Moon (Steve John Shepherd) very soon. While a cast cull of this nature has been long overdue, it is also important that gets back to its roots of telling well paced, and dramatic stories. I can't even remember the last time I was truly gripped by a story. Last Christmas was a real low point. EastEnders needs to be appointment television. It needs to hook us back in like it did in the old days. There's a feeling it has become a caricature of itself. 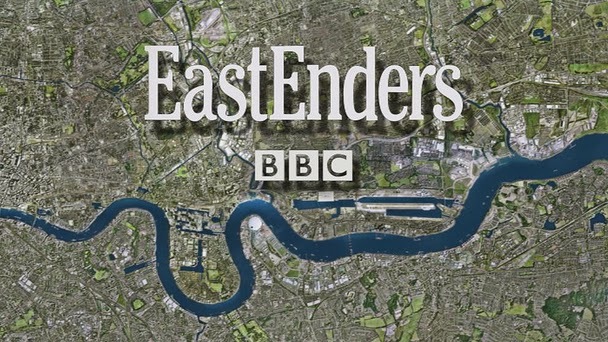 I have always said when EastEnders is at its best it's really really good, but when its bad its awful! There are some characters with potential. Lauren Branning (Jacqueline Jossa) is a genuine talent. Her character has gone through many different things and she manages to make each one as believable and real as the last. I hope she is there for a long time. Lola Pearce (Danielle Harold) is another that needs to be given more time to shine. EastEnders needs to get out of the bad habit of casting young men to "hot up the square" because in reality they end up languishing behind the bar at the club or being the A-typical muscle that get used to intimidate people. I think Joey Branning should really be written out too. There was a time not that long ago when some of our best writers cut their teeth in soapland. Russell T Davis, Paul Abbott and Sally Wainwright all got their start writing for soap and it would seem there is now some snobbery about writing for soap. I've spoken to many writers who have told me what a fantastic training ground soap can be. What EastEnders needs at the moment is creative writers at the helm. I'm not saying the current team aren't pulling their weight but we need to stop this repetitive cycle we're stuck in. We've seen gangsters, football teams and car crashes. We need some gritty human stories to get our teeth into. EastEnders did tend to do gritty better than its rival Coronation Street which deals with the humorous side of life. The main criticism that has long been levelled at the residents of Albert Square is that they don't smile enough. We need Kat and Alfie back together, Ronnie and Roxy reunited and having fun, and perhaps most importantly a matriarchal figure to anchor things. Towards the end of her time on the square Pat Butcher/Evans/earrings didn't do a great deal but she was a reliable older character and I think we need someone of her calibre to either return or be created from a strong current resident. I look forward to seeing how things develop with Treadwell-Collins at the helm. There's not a chance he could do worse than any of his recent predecessors but I hope that Christmas episode is the thing we'll all be talking about again this year.